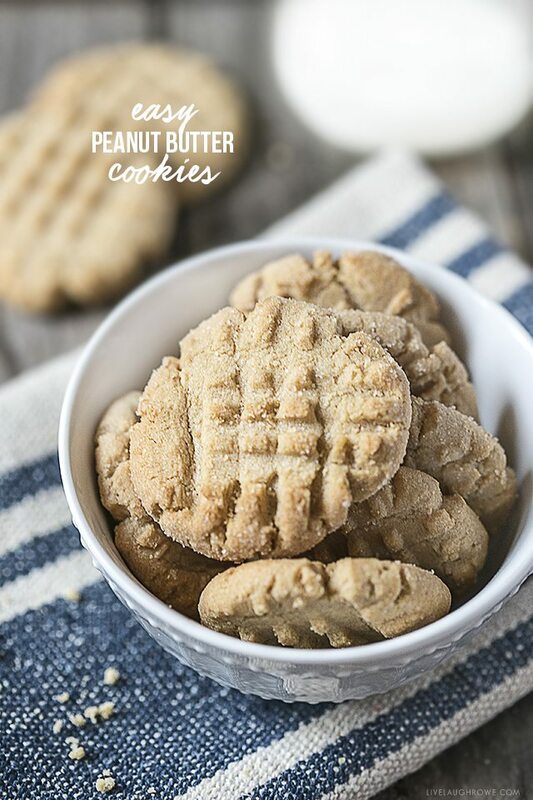 Easy Peanut Butter Cookies -- packed with flavor and crunch! 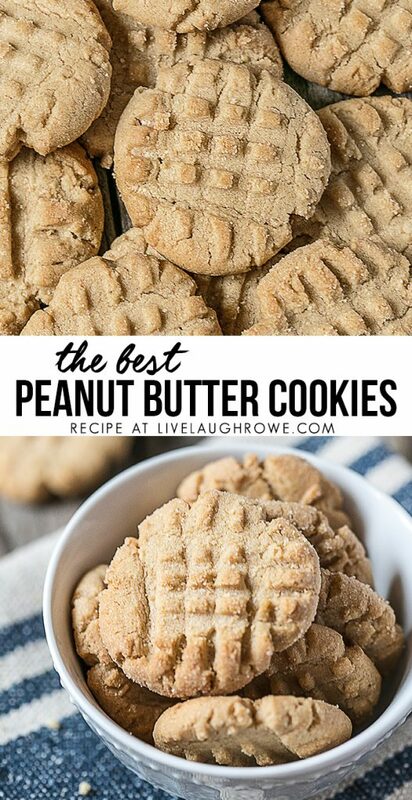 If you love peanut butter, then these Easy Peanut Butter Cookies are sure to satisfy your sweet tooth! Last weekend my mom hosted a house warming party. It was an afternoon Open House and a HUGE success. I hope to share some of the before and afters of their retirement home. They basically gutted the house and did a lot of renovations. I only wish everyone who attended could’ve seen it before. The house has come a long way! Sweet and simple farmhouse decor that makes you feel right at home. As the week before the Open House approached, my mom was hard at work prepping. She told me she was making Peanut Butter Cookies and Oatmeal Cookies. Oh yes she did… I was pumped. I can’t even remember the last time I had them. Guess what? She had extras and I’m here to share this family favorite with all of you. Booyah! 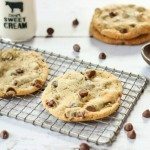 These cookies are one of my all-time favorites, flavorful with a little bit of crunch. My mom has been making these for years. As a matter of fact, she showed me the worn out, greasy page ripped from a 1991 Woman’s Day Magazine. 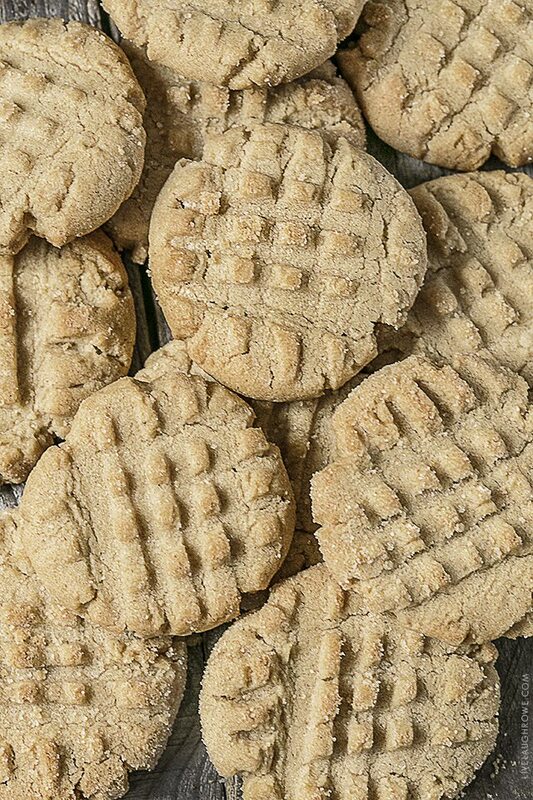 The recipe was called Peanut-Butter Crisscross Cookies. 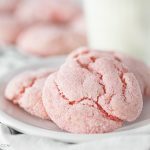 Call them what you may, but this is one recipe that will have you wanting more than one or two. Heat oven to 375 and prepare cookie sheet(s) for use. 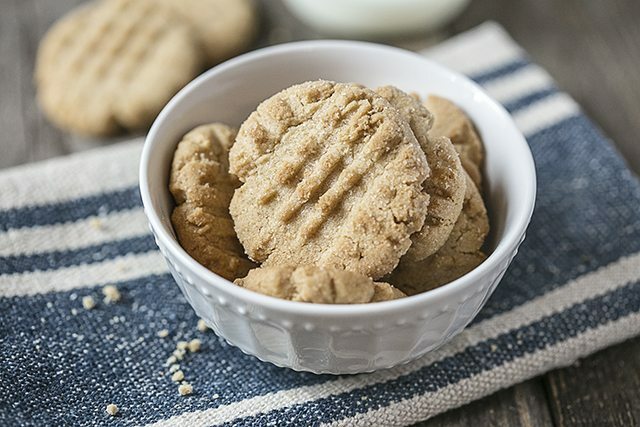 Beat butter and peanut butter in a large bowl with electric mixer until creamy. Add sugars and beat until fluffy. Beat in egg and vanilla until well blended. With mixer on low speed gradually add flour mixture. Beat just until blended. Roll heaping teaspoonfuls of dough into balls. Place 1 1/2 inches apart on ungreased cookie sheet. Flatten with fork, making a crisscross design. Bake 10 to 12 minutes until browned. Cool on cookie sheet for 1 minute before removing to wire rack to cool completely. 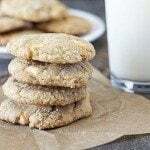 Makes approximately 60 cookies, two per serving. Easy and delicious sounds about right! 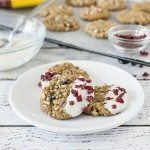 These cookies are great for parties, snacking and a lunchbox treat. 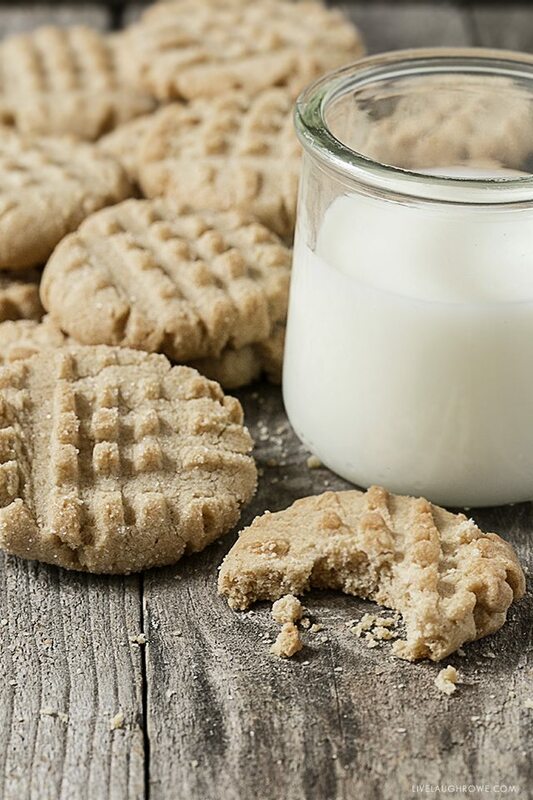 Pair them with a glass of milk and you have a small slice of perfection. So, what are you waiting for? Awww….what a nice post Kelly!! Glad you enjoyed them! Actually I have not made them in years. It was a wonderful day….a lot of work but worth it all.???? Enjoy your new home and neighbors! Congrats! Those cookies look really tasty! My son loves cookies so much. I am gonna make this for her. Hi Marg! Thanks so much for stopping by and letting me know. They are one of my favorites — and I’m so glad you enjoyed them too. HUGS!